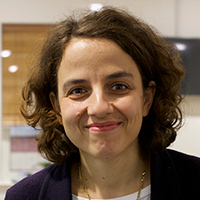 Dr Irini Katsirea is Reader in International Media Law at the University of Sheffield. She joined the Department of Journalism Studies in September 2015. Before her appointment at the University of Sheffield, Irini was Senior Lecturer in Law at Middlesex University, London. She has served as Visiting Fellow at the Institute of Advanced Legal Studies and is a member of the Athens Bar. She holds a First Examination in Law from the Free University of Berlin, an LLM in European and International Trade Law from the University of Leicester and a PhD from Magdalene College, Cambridge. Visit Irini’s University of Sheffield staff page.